Dial Press Trade Paperback, 9780385333900, 320pp. 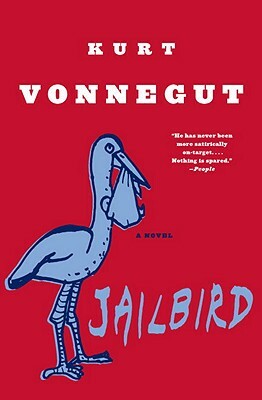 Jailbird takes us into a fractured and comic, pure Vonnegut world of high crimes and misdemeanors in government—and in the heart. This wry tale follows bumbling bureaucrat Walter F. Starbuck from Harvard to the Nixon White House to the penitentiary as Watergate’s least known co-conspirator. But the humor turns dark when Vonnegut shines his spotlight on the cold hearts and calculated greed of the mighty, giving a razor-sharp edge to an unforgettable portrait of power and politics in our times.